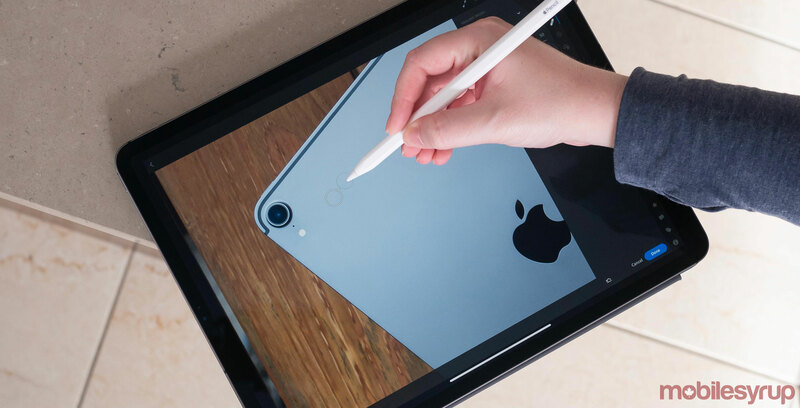 iOS 12, the latest major release of Apple’s mobile operating system, is now installed on more than 75 percent of compatible iPhones and iPads, according to data analytics firm Mixpanel. iOS 11, meanwhile, is currently on approximately 19.58 percent of all Apple smartphones and tablets, while older versions of the operating system account for approximately 5.41 percent of the iOS ecosystem. 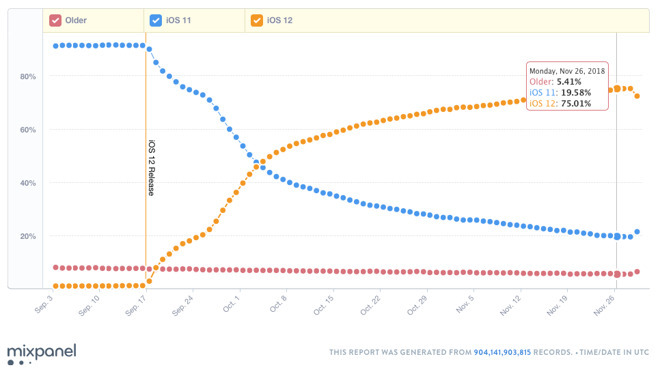 While the adoption rate of iOS 12 is impressive in its own right, what’s more interesting here is that Apple’s latest mobile operating system is outpacing iOS 11. It took until December 18th of last year for iOS 11 to get to the 75 percent mark. A lot of that likely has to do with just how buggy iOS 11 was at release. One thing to note here is that these latest adoption rate numbers come from a third-party analytics firm, instead of directly from Apple. The last time Apple released adoption rate data was on October 29th. At the end of last month, 63 percent of devices were on iOS 12.